At stake is the $2.6 billion Line 3 replacement project, which has drawn familiar battle lines between environmental and industry groups, and has raised uncomfortable complications for some of Minnesota's Native American tribes, whose treaty land intersects with the pipeline route. It has been a divisive project since Enbridge Energy filed its plans to replace the aging Line 3 pipeline nearly four years ago, and Walz has been under pressure since he took office in January to take a side in the matter. And though his Tuesday announcement was framed as a continuation of a previous governor's action, activists on both sides of the pipeline project saw in it promises broken or promises kept from the campaign trail. Line 3 is one of five Enbridge Energy pipelines that, together, carry more than 2.5 million barrels of Canadian oil every day across northern Minnesota. The 1960s-era pipeline is corroding and has a long history of leaks. After 40 years in operation, Enbridge reduced the pipeline's capacity in 2008, and by 2013 a company assessment determined that Line 3 would need to be replaced. The company filed a formal application with the state of Minnesota two years later, proposing to build a new pipeline that could carry nearly twice as much oil as the current one. 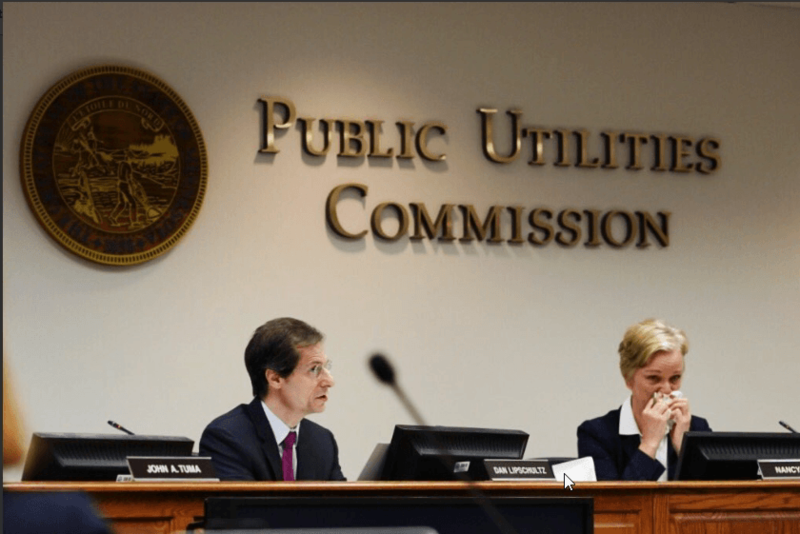 And after almost four years of review and public meetings and testimony and protests and rallies, last June the Minnesota Public Utilities Commission approved the new line, and a new route across the northern half of the state. But in December, then-Gov. Mark Dayton's Department of Commerce appealed the PUC's decision. The department's experts argued that Enbridge hadn't adequately proven that Minnesota needs the pipeline in order to meet the state's demand for oil in the future. Last week, the Minnesota Court of Appeals rejected Line 3 challenges filed by the Commerce Department and several others, saying they had been filed prematurely, ahead of the PUC's final order approving Line 3. Between the filing and the ruling, Dayton's tenure ended and Walz's began. Initially, Walz only needed to decide if his Commerce Department would maintain the appeal that his predecessor had put in motion. But the appeals court decision left Walz and his administration with an urgent deadline: Would the new governor's Commerce Department file a fresh appeal of its own in place of the one that had been rejected? On Tuesday, Walz offered an answer: His Commerce Department would take the first step in the appeals process. It would file a petition of reconsideration with the PUC, asking regulators to revisit their decision to allow the Line 3 project to move forward. If the commission denies it, a challenge can be filed again at the Minnesota Court of Appeals. Enbridge called the new round of petitions for reconsideration "unfortunate" and said Tuesday that it believes the PUC commissioners will deny the Walz administration's petition for reconsideration, just as they did the Dayton administration's. In a statement announcing the decision, Walz said, "When it comes to any project that impacts our environment and our economy, we must follow the process, the law, and the science." 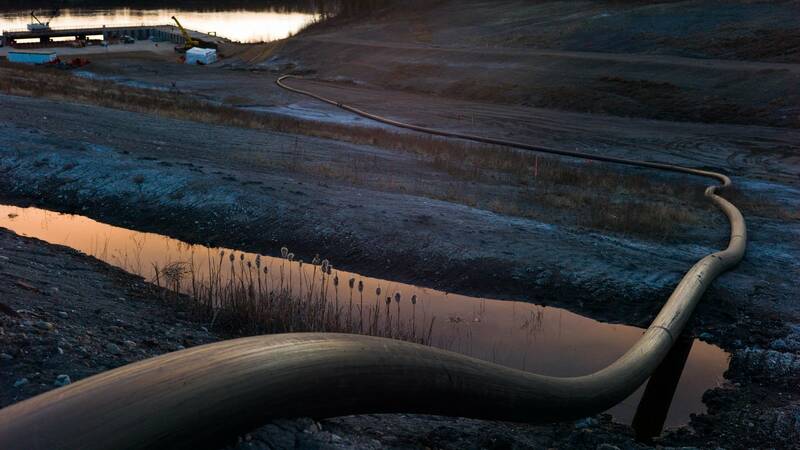 But Todd Rothe, a member of the industry and labor group Minnesotans for Line 3, argued that it's time to start building because the project has worked its way through the regulatory process. "This has been four years in the making already," he said Tuesday, "and to have additional wrenches unexpectedly thrown into it at the 11th hour when we're ready to put shovels in the ground, it's ridiculous." Walz has felt pressure from both sides about Line 3 since he was elected, in letters and phone calls and protests and vigils and visits to his transition office after the election and now to his new office at the Capitol. Supporters like Rothe and Minnesotans for Line 3 say the project will create thousands of construction jobs and generate millions of dollars in property tax revenue for the northern Minnesota counties the new pipeline will cross. But pipeline opponents have also been applying pressure, arguing that building it would worsen climate change, violate Native American treaty rights and threaten northern Minnesota's waterways. "This dirty tar sands pipeline would threaten our clean water, communities, and climate, all for the sake of more oil our state does not need," said Sierra Club North Star Chapter Director Margaret Levin. Joe Plumer, an attorney for the Red Lake and White Earth Nations, which have filed their own appeal challenging the PUC's approval of Line 3, praised Walz's decision. "We had a chance to visit with him on the phone," Plumer said. "And we explained to him that by just permitting the process to run its course, which has already been set in place, that he would be fulfilling his responsibility of testing whether or not the PUC's decision is actually correct." Plumer said the PUC was wrong to allow Line 3 to be built through a large swath of northern Minnesota where several Native American tribes retain treaty rights to hunt, fish and gather. 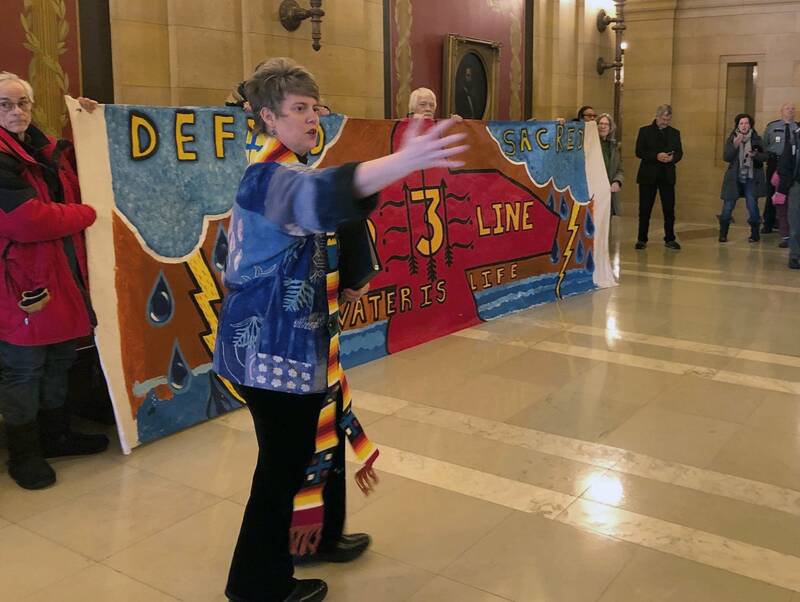 Opponents of the pipeline argue that Line 3 threatens the climate, saying the oil it would transport would exacerbate global warming. During his time on the campaign trail for the seat he now holds, Walz vowed to address climate change with an emphasis on clean water and energy, saying he would do so "by following Minnesota's processes when considering new projects," a sentiment he echoed in Tuesday's announcement. "For an administration that ran on taking climate change seriously and upholding indigenous sovereignty, continuing the appeal was the only choice that made sense," Andy Pearson, who works with the environmental group MN350, said in a statement Tuesday. Akilah Sanders-Reed, a member of the Youth Climate Intervenors, a group of young environmental activists that has also appealed the PUC's approval of Line 3, agreed. "You can't ... let something like that move toward construction without doing everything in your power to stop it, and also say that you support climate policy," she said, "or that you care about climate action." In their statement Tuesday, neither Walz nor Lt. Gov. Peggy Flanagan took a stand on Line 3 itself. Walz said simply that he would allow the appeal process to continue. Flanagan, who as a state representative opposed the pipeline's route through Ojibwe treaty territory in northern Minnesota, said the decision would "help ensure that Minnesota's permitting process is clear, thorough, and fair." But Rothe, whose J.R. Jensen Construction company often takes on pipeline construction work, was frustrated. "It's pretty maddening," he said. "I mean I'll be frank with you, he lied to us. He said during his campaign that he supported the PUC decisions. And to throw legal wrenches into that at this point...it's incredibly disappointing." While Walz's position on the Line 3 project wasn't always clear as he campaigned, he told the Star Tribune just before Election Day that he was satisfied with the PUC's decision to approve the pipeline. "The PUC did rule," he told reporters in October. "We need to follow the process in place." 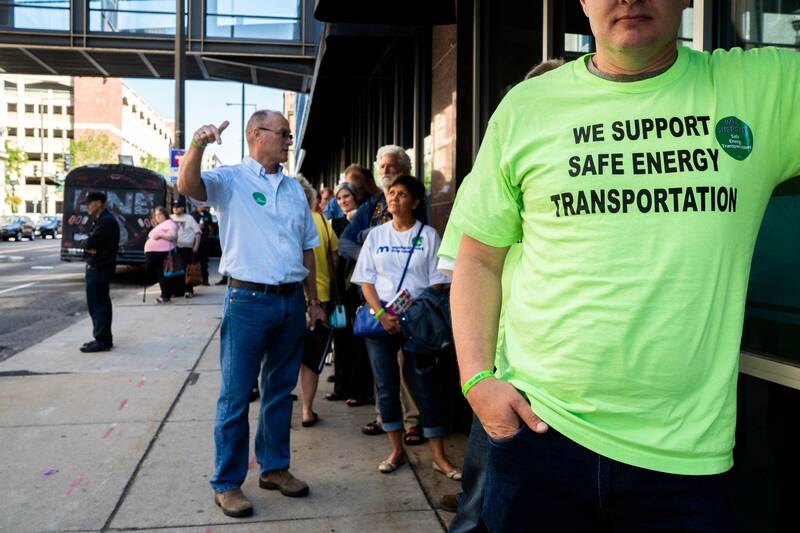 • More: What does the Line 3 approval mean for Minnesotans? Kevin Pranis, a spokesperson for the Laborers International Union of North America, said he sees the governor's move as a way to allow what the Dayton administration put in motion to play its course. "We think the case is clear," he said. "We don't think the decision that Gov. Walz took is a comment on the merits of the project." And Pranis doesn't expect the new wrinkle to slow down the progress of Line 3. "We fully expect our members will be working on the pipeline by the end of the year," he said. Walz said in his statement Tuesday that his administration had met with groups on all sides of the Line 3 issue. Flanagan added that they plan to "continue meeting with Minnesotans passionate about this issue and engaging in meaningful consultation with affected tribes." But Republican legislative leaders made it clear Tuesday that they're not satisfied. "This was Gov. Walz's first test on what One Minnesota means," House minority leader Kurt Daudt, R-Zimmerman, said at a news conference Tuesday, making reference to the slogan Walz and Flanagan campaigned under. "And in this example, I think, very clearly Gov. Walz has failed the test." 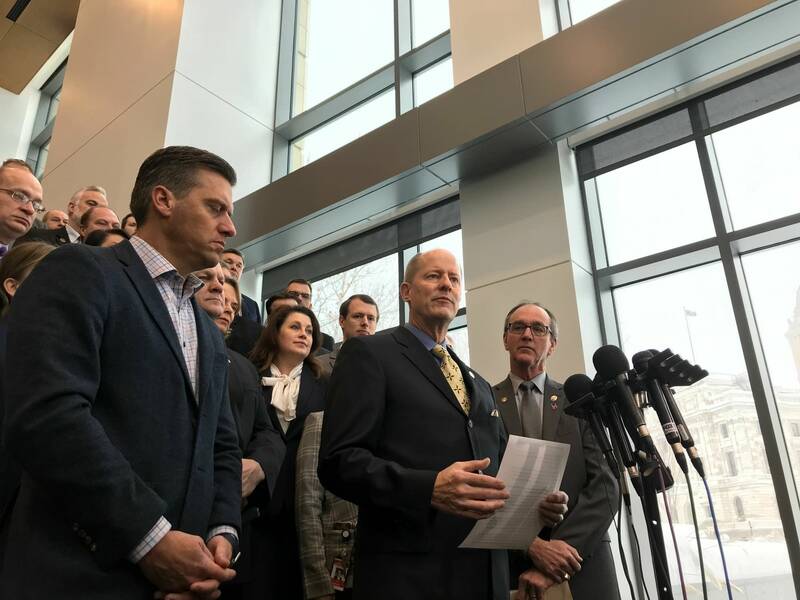 Republicans said at a news conference after the announcement that in continuing the Dayton administration's Line 3 appeal, Walz was siding with what state Senate majority leader Paul Gazelka, R-Nisswa, called a small faction of "extreme environmentalists." "It was extreme environmentalism that won out," Gazelka said. "Not environmentalism, but extreme environmentalism that stops a lot of the business that needs to go forward in Minnesota." Walz said in his statement Tuesday that projects like Line 3 "don't only need a building permit to go forward, they also need a social permit." And while the governor didn't elaborate on the point, state Sen. Dave Osmek, R-Mound, took issue with the idea of a "social permit" standard to build a new pipeline. "Where exactly do I apply for a social permit? Is that something maybe the lieutenant governor gets to do now? Is that a new office that we don't know about? This is ridiculous," he said. Osmek chairs the Legislature's Senate Energy and Utilities Finance and Policy committee. "It's unfortunate the governor is now creating a fictitious social permit to try to stand in the way," Osmek said Tuesday. "Unfortunately he's listening to the eco-terrorists — that's what I call them — who are now turning off valves on Lines 3 and 4." Last week, four activists broke into an Enbridge site in Itasca County and tried to shut off the pipe. They said they did it as a way to address climate change and the pipeline's contribution to global warming. "They're going to up the ante to the next level, as we go through the building of that line," Osmek said. "The governor should be ashamed of standing in the way of getting this done." The Minnesota Public Utilities Commission is an independent, quasi-judicial board that has regulatory approval over large energy infrastructure projects, including pipelines. Its five members are appointed by the governor, but do not work for the governor. They serve staggered, six-year terms. Walz has said he plans appoint the PUC's newest commissioner to fill the seat vacated by former chair Nancy Lange by the end of the month. Representatives of the state Commerce Department played a role during the PUC's Line 3 proceedings, advocating on behalf of consumers and the public interest. Department representatives argued that the potential costs of the pipeline project outweighed the benefits, saying approval of Line 3 was not in the best interests of Minnesotans. Since the pipeline was approved, the department has argued that, during the PUC regulatory process, Enbridge failed to prove that the pipeline is needed in Minnesota, because it didn't provide an oil demand forecast that's required under state law. The PUC has defended its unanimous approval of Line 3, saying the decision was based on the applicable law and a full evidentiary record, with input from the public and involved parties, including the state Department of Commerce. What's next for Line 3? While Republicans accused Walz of delaying the project, it's unclear if Tuesday's announcement would slow things down. When the PUC granted Enbridge a certificate of need and route permit to build Line 3 last June, it also imposed a number of conditions on the project — including the creation of a trust fund to pay to remove the pipeline when it's out of service and a program to fund the removal of the old pipeline at landowners' request after the new line is built. It's taken several months to work through those details, a process that's still in progress. And until those details are finalized, the PUC won't file it's official order approving the Line 3 replacement project. 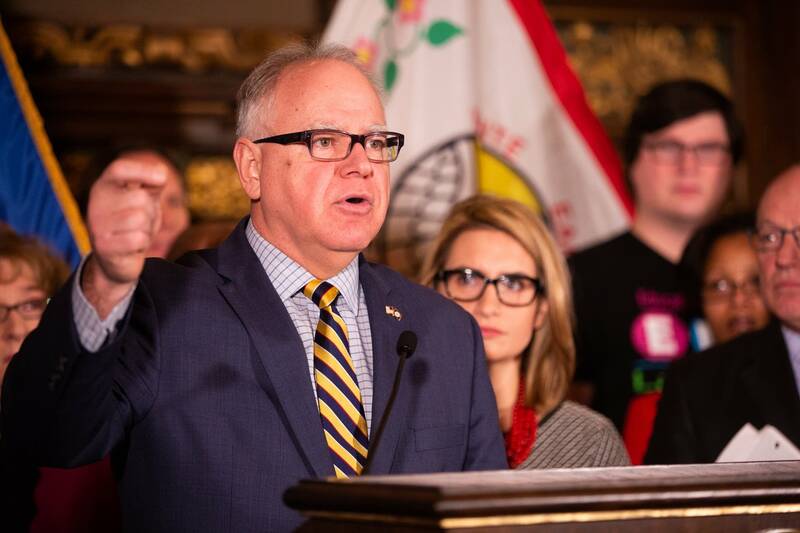 The appeals court based its ruling last week on the absence of that order, which is what forced Walz to decide whether he would launch a new appeal process. In addition to the Minnesota Department of Commerce, several tribes, environmental and community groups and individuals whose challenges were also rejected by the appeals court last week have filed new petitions for reconsideration at the PUC. Among them: The environmental groups Friends of the Headwaters, Youth Climate Intervenors, Honor the Earth, and the Sierra Club; the Mille Lacs Band of Ojibwe and the Red Lake and White Earth Nations; and Donovan and Anna Dyrdal and Benjamin and Erica Groeschl, whose land lies along the pipeline route. Those appeals would likely have moved forward, whether the Commerce Department's appeal was renewed or not. And Enbridge still needs several state and federal permits in hand before it can break ground on the new pipeline. The company said it is working with the Walz administration on a timeline for securing the rest of the permits it needs to move forward. The company plans to have the pipeline in place and operating by the end of 2019. Meanwhile, more appeals are likely. The deadline to file challenges to the state's approval of the new pipeline's route is Wednesday.